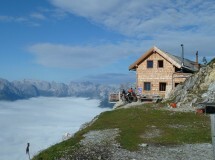 There are many alpine lodges and mountain huts on the Werfenwenger plateau and in the surrounding mountains. These mountain huts offer a picturesque setting to enjoy food and drink, and many also provide overnight lodging. Multi-day hut tours are also possible.